The Button collection re-appropriates the familiar clothes fastener to form oversized, solid semantic handles. Turned in solid FSC American white oak, the button handles punctuate and characterise an honest, humber and modest theme to a durable yet effortless range of case goods. The oak is given a deep sandblast and then treated with either a carbonised black finish or an alternative natural oak. 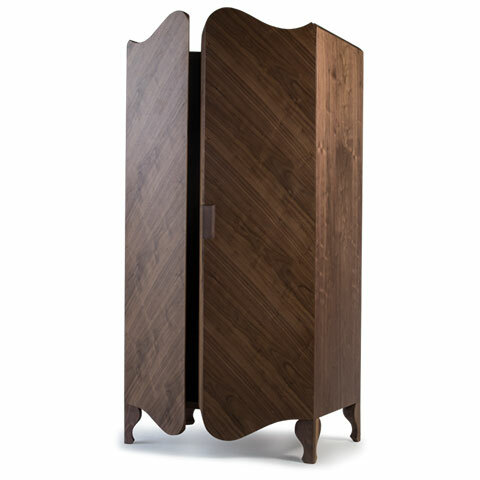 The strong brass hinges on the wardrobe act as a detail of robustness, continuing to echo a timeless theme in their bull nosed machine - turned finish and stand out as beads of gold against the carbon black oak. Enquiries based on minimum order quantity. Please contact Reeves Design directly on the CONTACT enquiry form. Solid FSC oak and veneers. 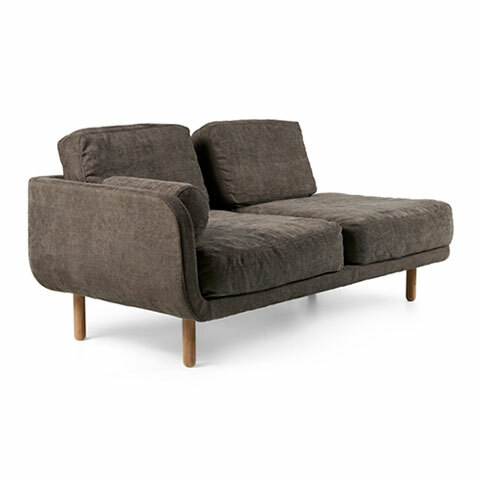 Sandblasted and carbonised with detailing in solid brass and natural oak. Elegant tapering legs allow this table to stand tall as the largest of the ‘square’ CAST tables. 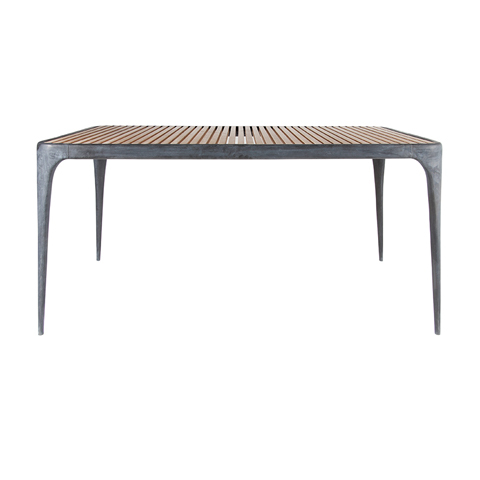 Solid recycled sand cast aluminium frame with a zinc plate patina finish, this table will work comfortably indoors or outdoors.